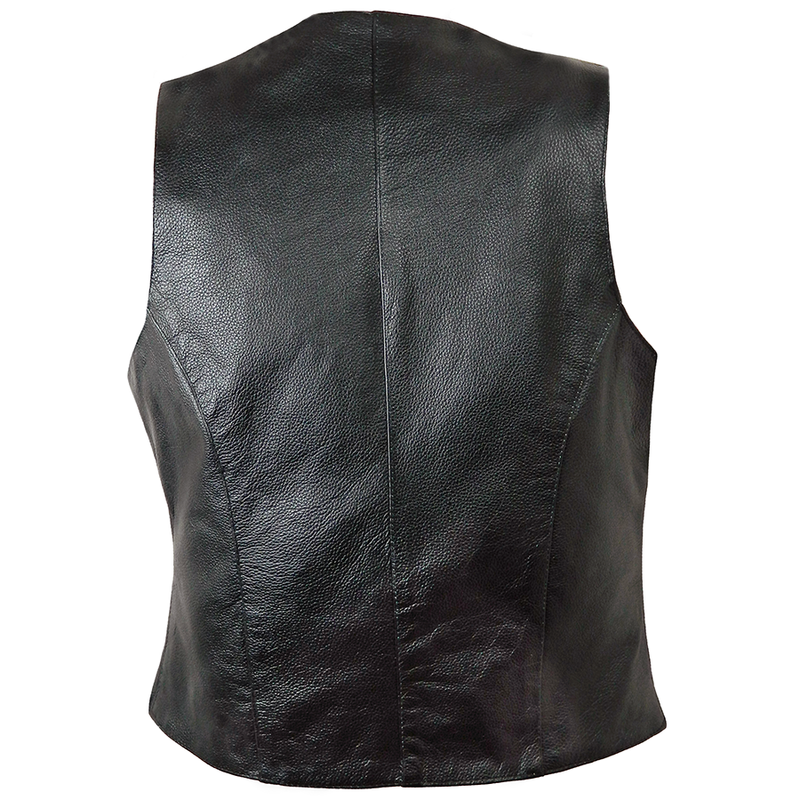 A supple black leather waistcoat that is made to flatter. 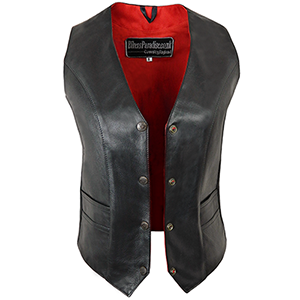 With a red cotton and textile lining that has one inside pocket. Brass coloured press stud fastening.